A beautiful day in Redmond found the Stangs traveling to Eastlake High School, baptizing the many freshmen into the always intense rivalry. 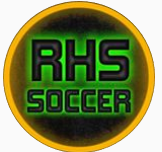 As the game began, the Mustangs controlled and moved the ball well, with Eli Friedman and Jaden Low connecting beautifully down the right side, and Cameron Pisan and Phillip Araujo distributing from the midfield, but they couldn’t find any dangerous chances. Quickly, the Wolves settled in and started to take control of the game, constantly pressuring the defense with long ball after long ball. Due to the confident defending of the back line, particularly Kyle Statkus’ dispossessions and push up the left side, the long balls were largely ineffective. The Mustangs, held on and battled, maintaining a 0-0 tie into halftime, where they refocused and came out calm and collected. With some questionable calls both ways, the boys did brilliantly to keep their heads and stay in the game. Although both teams were fighting hard, neither could find a real opportunity, and with time dwindling, the intensity picked up in this heated rivalry game. The Mustangs, who had kept their cool the entire game, were rewarded with 2 minutes left. Anthony Sinyagin played a sharp ball up the field, which was tapped on from Zanny to Max K., who took the ball from the 30 yard line and in, rocketing one past the keeper. 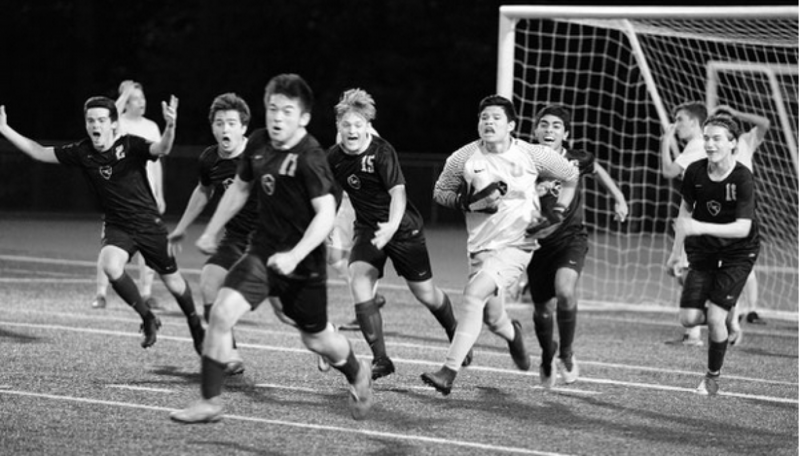 Amidst the elation, there was still 2 minutes to play, and a goal-saving deflection by Dan Firstenburg kept the Stangs’ lead safe, and ultimately allowed them to walk home with a big time 1-0 win over their rivals. The Stangs will get a great chance to sweep the season series against Eastlake in the last game of the season, in what is sure to be a dogfight. Hats off to both Eastlake and Redmond for a great game! Next postRedmond upends Mt. Si 3-0 in an exciting and physical KingCo 4A Varsity tour de force under the Friday Night Lights!